We are a registered provider of consultancy services to All-of-Government in the Business and Finance category, including Tranche 2. We work with councils to build the strength of their organisations and their communities, and to help integrate initiatives at local, regional and national levels. Doug Martin discusses fair pay agreements including the issues and challenges for a new wave of collective bargaining in our latest blog. Introducing the MartinJenkins’ Multiplier. An innovative way of thinking and working. MartinJenkins' energetic team of more than 40 consultants specialises in providing high calibre organisational, financial, economic and public policy services to significantly lift client performance. In-depth expertise across a wide range of disciplines. 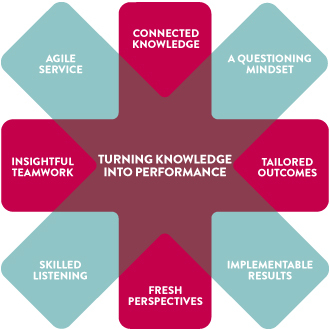 Our reputation for astute problem-solving is founded on in-depth expertise across a wide range of disciplines – such as strategic planning, performance improvement and monitoring, organisational design, public policy advice, research and evaluation, and change management. We’re always looking for extraordinary people to join us at Aotearoa’s leading professional services firm. MartinJenkins has played a quietly constructive role in many of the advances that have helped shape New Zealand for 25 years. Do you have deep expertise or a growing interest in strategy, organisational design, performance and change? In economic or financial analysis? Are you a policy professional looking to broaden your experience? Is your expertise multiplied by knowledge of a particular sector like transport, infrastructure or local government? Let's talk. Over more than two decades as leading consultants to public, private and not-for-profit organisations, MartinJenkins has accumulated invaluable experience across a broad range of industries and sectors – from arts and culture, to transport and energy, from building and construction, to education, justice and social welfare.